This 29×18 inch piece is screen printed on gallery stock. The imagery is a mish-mash of pop culture allusions. There’s the obvious nod to our favorite candy-man, Willy Wonka. There’s also a nod to another guy with wild hair and crazy clothes: that voodoo brewer of audio-candy, Mr. Hendrix. Those of you well-versed in rock-and-roll visuals will recognize that iconic pose depicted on the print. “At the end of his legendary performance at the Monterrey Pop Festival in 1967, Jimi said he wanted to sacrifice something to the crowd…something special, which was an extension of himself. So, he gave them his guitar. 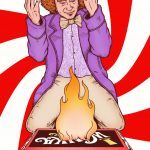 Wonka gave the most special thing he could give. He gave his ‘candy-man’ power away. 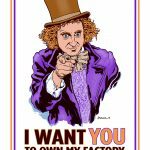 Literally, he gave his factory to the people…the good people, at least.” -j.r.
From an edition of only 75 signed and numbered prints. Mini Art Print – Measuring approx. 9.75 x 6 inches, this mini art piece is printed on white gallery stock. Featuring everyones favorite candy-man doing his best ‘Voodoo Child’. 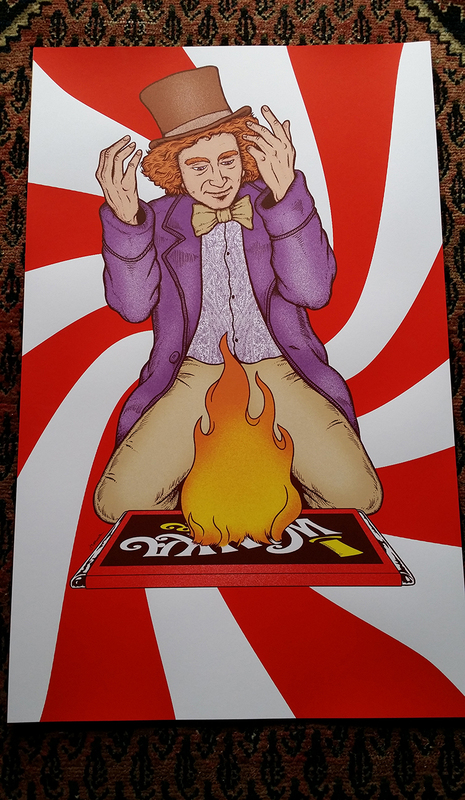 Image was originally used on the recent poster from the PRIMUS & The Chocolate Factory 2014 Tour. Screen printed. Signed by Jermaine Rogers. Mini Art Print (ORANGE CREAM) – Measuring approx. 9.75 x 6 inches, this mini art piece is printed on ORANGE CREAM gallery stock. Featuring everyones favorite candy-man doing his best ‘Voodoo Child’. Screen printed and signed by Jermaine Rogers. Mini Art Print (FROSTY BLUE) – Measuring approx. 9.75 x 6 inches, this mini art piece is printed on FROSTY BLUE gallery stock. Featuring everyones favorite candy-man doing his best ‘Voodoo Child’. Screen printed and signed by Jermaine Rogers. Mini Art Print (GOLD FOIL) – Measuring approx. 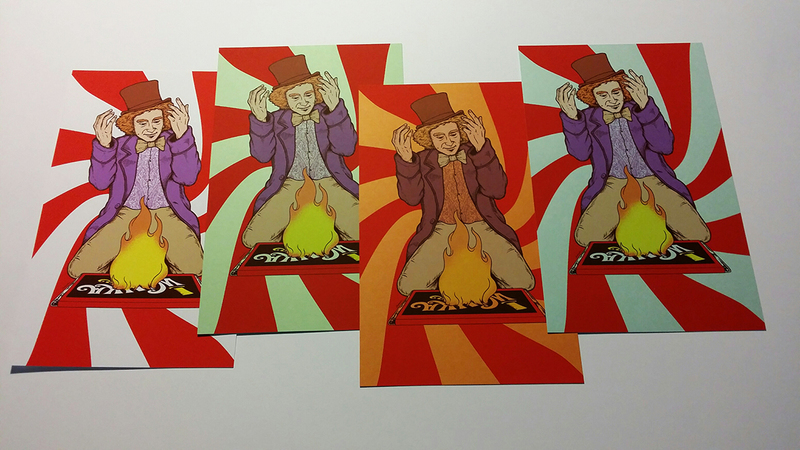 9.75 x 6 inches, this mini art piece is printed on GOLD FOIL stock. Featuring everyones favorite candy-man doing his best ‘Voodoo Child’. Screen printed and signed by Jermaine Rogers.